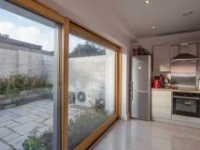 District heating and passive house - are they compatible? Thanks to fabric-first energy performance approaches such as passive house, heating demand is collapsing. 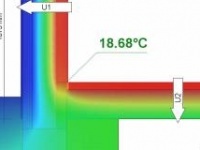 So how does district heating stack up in buildings which need such little heat? 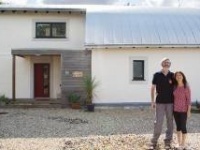 It may sound too good to be true, but a new scheme of semi-Ds in Co Wexford proves that passive houses can be remarkably affordable to buy – and that’s with net zero heating and hot water costs, and the soundproofing levels of a cinema. Imperative Energy, a supplier of large-scale biomass energy solutions, today announced that it has completed a E30m equity funding package with Rockfield Energy LLP, a UK-based private equity firm specialising in renewable energy investments. Up till now, the activities of semi-state energy companies like Bord na Móna, ESB & Bord Gais have not won the favour of environmentalists. Richard Douthwaite explains how that situation is destined to rapidly change, and exclusively reveals details of the ambitious new green direction being adopted by Bord na Móna. 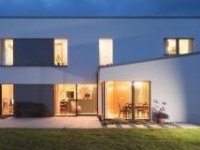 Developers across Ireland are beginning to see the sense in shifting from individual heating systems to centralised energy production feeding into district heating networks. John Hearne visited a mixed-use scheme in Ballisodare, County Sligo, where a cutting edge biomass energy centre is providing a multitude of different buildings with energy from a green, secure source. With the age of cheap and abundant fossil fuel energy coming to an end, district heating, where a development is heated from a single, centralised heat source is becoming an increasingly attractive option due to the capital and running cost, efficiency and environmental benefits it can offer. Paraic Davis of Davis Associates mechanical and electrical engineers explains why district heating has become a viable and increasingly popular choice in Ireland. Responding to the Department of Communications, Marine & Natural Resources’ Green Paper “Towards a Sustainable Energy Future for Ireland”, Mark Coyne, Technical Director of Dalkia Ireland, outlines the challenges and responses to the three main pillars of the Green Paper – sustainability, competitiveness and security of supply. In a comparatively short time, district heating and cooling have emerged as an ideal sustainable solution for mixed use, residential, commercial and industrial developments. Far from being a new technology, district heating systems have been commonplace across Europe since the 1960s. Noel Walshe BE of district heating specialists Noel Walshe ltd explains what is required to deliver the most effective solution.